During this year’s Rock ’n’ Roll Marathon Sept. 20, thousands of Montrealers will be pounding the streets of the city for their own well-being and to raise funds for a favourite cause. 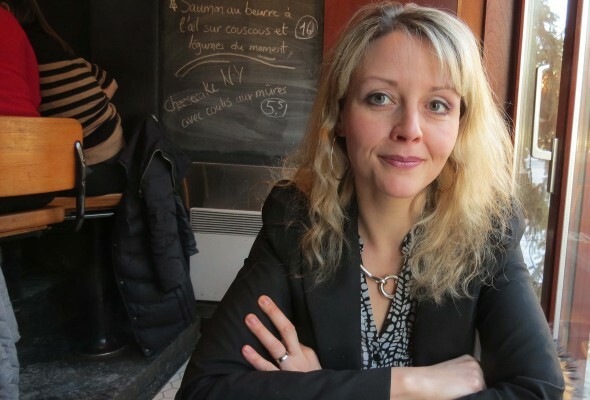 Chantal Ringuet, the Montreal writer, translator, researcher and Jewish literary scholar will be running to raise funds for human rights and the Montreal Holocaust Memorial Centre. “I will be drawing attention to the memory of the Jews who were deported during the Second World War,” the Quebec City native said in an interview. More specifically, Ringuet, who has written about Montreal’s Yiddish poets and translated some of their works from Yiddish to French, has some specific victims of the Holocaust in mind. She wants to recall the story and work of French writer Charlotte Delbo, sent to Auschwitz because of her work with the French resistance. Delbo survived and wrote about her experience in Auschwitz and After, a three-part prose and poetry collection. Her goal is to raise $1,000 and she is halfway there. Ringuet says she’s limiting her training to a five-kilometer run, because of deadlines and a busy schedule including a collective book about Leonard Cohen in French and a French translation of Elaine Kalman Naves’ family history, Shoshanna’s Story. She will not be alone, since 18 people are part of the Run2Remember activity. Be the first to comment on "Chantal Ringuet shows human rights isn’t a sprint — it’s a marathon"